Sure, we love kids that run, throw and compete like the pros. Even more, we love kids that bring positive energy, effort and teammate to our youth camp environment. This past summer, at each of the twelve community-based Green Bay Packers Youth Football Camp, we selected two youth campers that representative the leadership qualities we want to see. 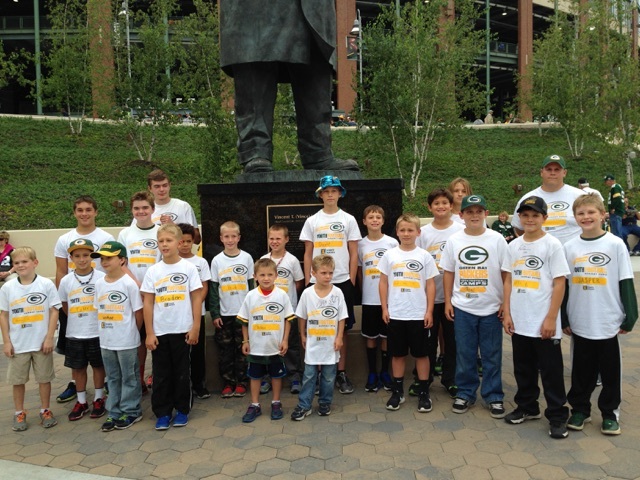 These Leadership Award Winners were invited to the August 29 Packers’ preseason game and honored for their outstanding character traits. Hosted by Green Bay Packers Youth Camp Director Keith Vanden Heuval, campers and family members enjoyed free tickets to the game vs. the Philadelphia Eagles. Contact Green Bay Packers Youth Football Camps or any Pro Sports Experience NFL partner and learn football skills and life skills from the best.